This lovely pattern is a part of The Rivendale Collection by Sally Giblin. 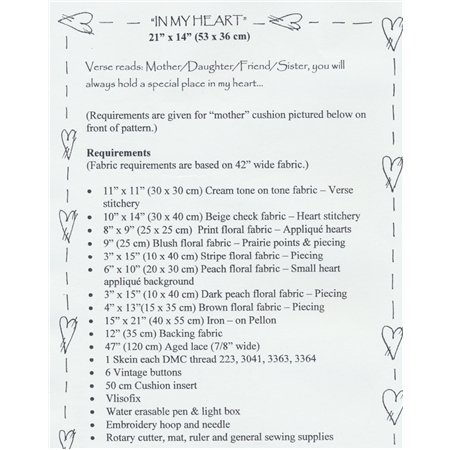 Pattern includes instructions for stitchery, instructions for appliqué, and instructions for cushion. Finished size is 21" x 14". 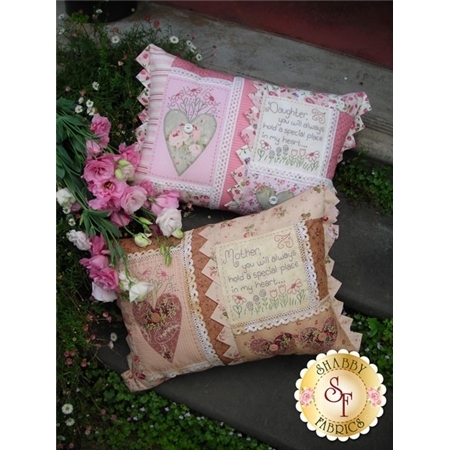 The hand embroidered verse says, "Mother/Daughter/Friend/Sister, you will always hold a special place in my heart..."